This post is cross-posted from Spatial Collective’s blog. Spatial Collective recently undertook a campaign of tackling solid waste management in Mathare. Solid waste (waste) comes in various shapes and sizes and materials and has various life-cycles. In order to understand what some of the processes undertaken while handling waste are we looked closely at the composition and the life-cycle of waste. 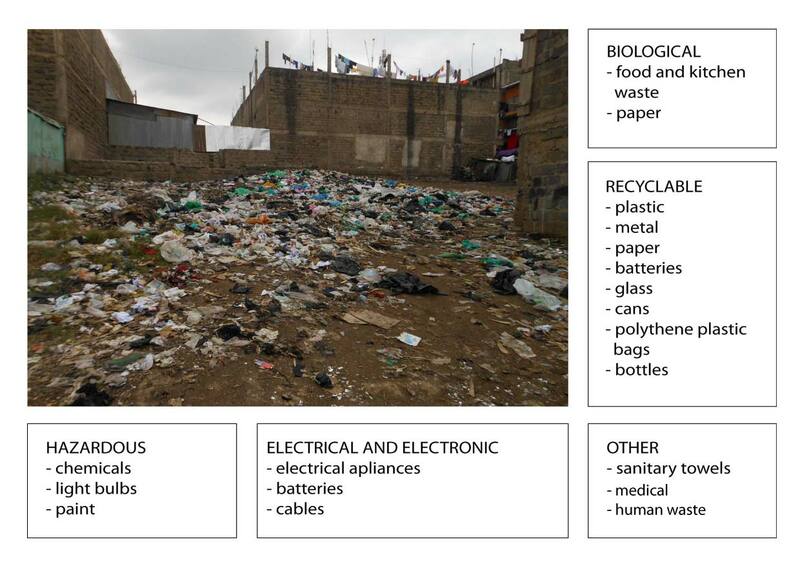 First, we looked at the composition of waste in Mathare. Solid waste, which is deposited in Mathare’s communities (excluding raw sewerage), usually consists of biological, recyclable, electrical and electronic, and hazardous material, and other waste such as sanitary towels, medical waste and human excrement. 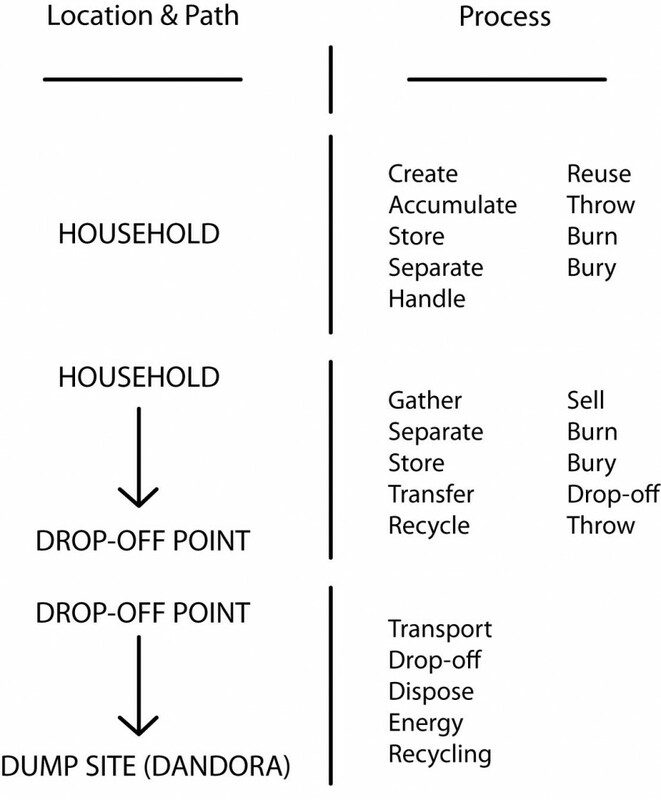 Secondly, we looked at the life-cycle of waste by looking at the locations, paths and the processes through which it travels on its way to the final drop-off point. Looking at Mathare, waste is usually generated at a household or a local business level, where it is also stored, accumulated, thrown away, burned, buried, and sometimes separated into different recyclable or reusable materials. Waste then travels from the household to the drop-off site which can be either some predetermined collection point or a community designated dump site (some people call these illegal dump sites). Waste is either collected by the youth groups at a household level or it is disposed off by the residents themselves. Youths, individuals dealing with waste management or the residents dispose of waste by burning it; they throw it into the river or just anywhere; sometimes they sell valuable pieces of waste to the middleman for some cash; or they prepare it for the proper collection by the city council at the predesignated collection points. Last part in the life-cycle of solid waste in Mathare is its transport to the “official” dump site, Dandora (obviously waste which is thrown into the river or burned etc. doesn’t end there), where waste is once more sorted and recycled by the numerous “garbage-pickers.” Nairobi City Council has plans for the future to turn waste into energy at the recycling plants. Knowing the composition of waste and understanding its life-cycles can make us more informed regarding the processes, the people involved, their organization and behaviors around solid waste management. These informed decisions will hopefully guide us towards more sustainable solutions regarding solid waste management in Mathare.